Today’s app review is for Speech Box. Speech Box was developed by a parent of a child with apraxia with a focus on simple one syllable words. My first response was excitement! Finally a new format for articulation flashcards! Can you believe my clients are sick of the same articulation apps already?! 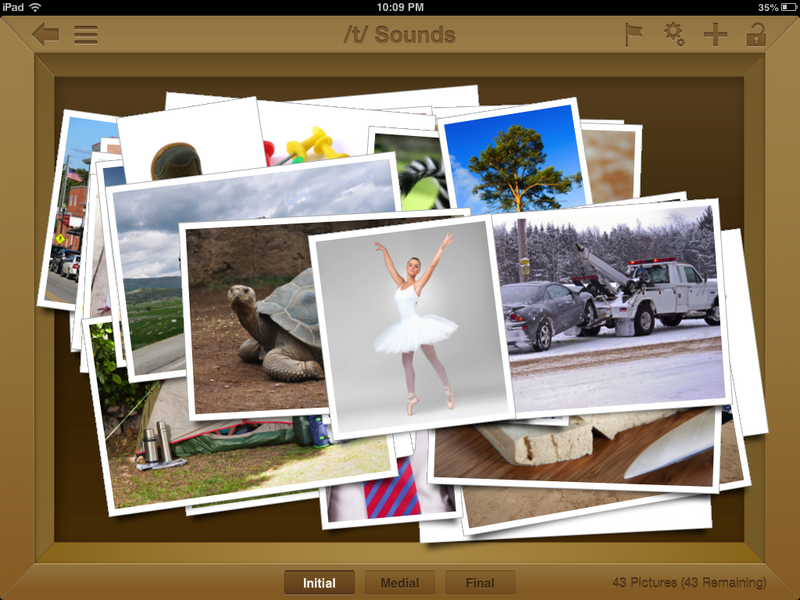 The Speech Box apps are organized on the home page like this one. Pick the sound you want to target and click on a box. The pictures are shown in a pile on the page (it does take a moment for them to load – I used that time to practice our sound in isolation). When you on the buttons at the top left, you can see a list of the targeted words. Here you can easily unselect anything you might not want to work on. For example, when working on /k/, I removed any words with contained /t/ and /d/ to reduce the complexity for a student with a severe phonological disorder. To practice a target words, just tap the picture. It will get larger on the screen and the target word is produced. To move to the next card, just swipe it away. The kids loved this feature! Plus, when looking at the pile, they are in control of which items are To add a new card, touch the (+) button. Add the picture and record the word. The SLP can also add new boxes. Pros: +The novel format draws student interest and gives this some autonomy because they pick what card is next. They can visually see how many cards are left to finish (that was surprisingly motivating my for guys!) +Almost all of the 700 photo’s included are one syllable words, something often not found in articulation apps. +The fact that there are photos rather than graphics is a plus for use with other populations +Once you make a ‘box’ it can be sent to others (I’m thinking home to parents if they own the app.) I also suggested to the developer to have somewhere SLPs can upload created boxes to be downloaded by other SLPs! Save time and hassle! +The app is fully customizable, you can add boxes and pictures easily. +The app is adaptable for much more than articulation/apraxia. Vocabulary and more can be added! Cons: – Several of the picture cards were in the wrong ‘box’. This is likely due to the fact that it wasn’t developed directly by a SLP. For example in the /g/ box there were many words that end in /ŋ/ (fang) and /dʒ/ (page.) Those sounds are different from /g/ although spelled with the ‘g’ letter. I also learned my lesson to prescreen all the cards, when ‘keg’ came up and the sweet 5 year old asked me what is was! (I asked the developer and he’s going to remove it. Many low income or ESL families wouldn’t frequently use that term unless to mean alcohol. All the other pictures seem appropriate.) -I wish the app had more variety of syllable complexity. I’ll likely add new boxes that contain 2 and then 3 syllable words with each sound. Although children with apraxia need simple syllable structures to start – they eventually move into more complex syllable types (YAY!). 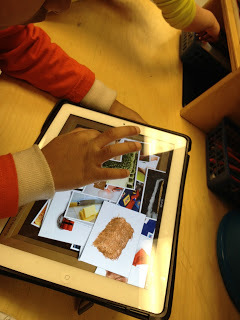 The app isn’t set up for that, and the SLP will need to add more pictures. 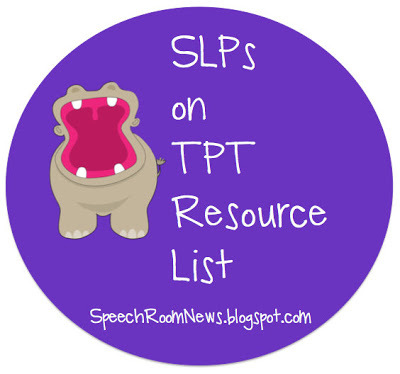 Most SLP’s don’t have much extra time. -No data collection is included in the app. An SLP app without data collection is really not up to par with the standards by other SLP apps. -Blends aren’t included. -Since the app focuses on one syllable words, many of the sounds only have 4 or 5 cards. I wish it had more variety in those sounds. It’s only therapy ready for single syllable words. Much of my apraxia caseload is working on medial consonants and two syllable words (CVCV and CVCVC). -The app currently only functions with a single player (or with only one sounds at a time.) I typically have preschoolers in a group of 2, so I wish I could do a ‘split screen’ or flip between sounds more easily. As it is now I need to exit the box and load another one. -Links to twitter and Facebook on the home page are unnecessary. Those quick little fingers can get a kid onto my Facebook page in just a split second! There is a lock function to disable, but these links still don’t belong on a kids app in my opinion! Overall, the app has great new way of presenting target words. 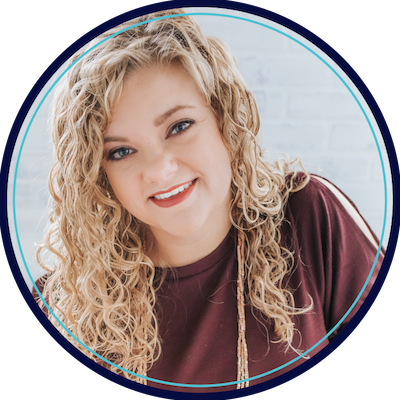 I love it as a starting place for apraxia therapy. 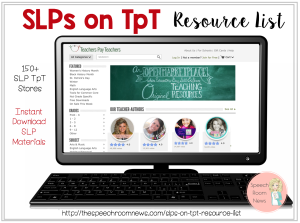 While the app is customizable, it will take prep work and customizing by the SLP. The app is not meant to replace your full set of articulation cards. Limited syllable complexity and lack of data collection are major current concerns with its design. If you’re looking for single syllable stimulus items, I’d recommend this app, but if you’re looking for a full set of syllable complexities, be prepared to do some work yourself. It’s currently priced at $19.99, which is listed at 50% off. In talking with the developer, many good updates are on the way. This includes blends, data tracking and sentences! Follow Speech Box on Facebook and Twitter(@speechboxapp) to keep up to date with all the exciting new features on the way. A copy of this app was provided in order to complete this review. No other compensation was provided. 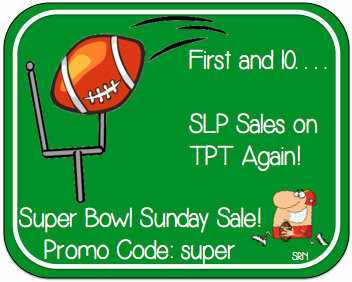 In other news… I’m joining the big TPT sale on Sunday! Don’t forget the promo code! 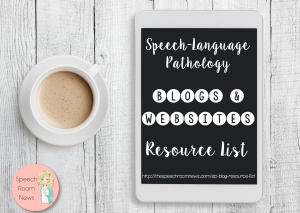 If you’re looking for materials check out my Resource List with over 80 different SLP stores! « One of my favorite Old Ladies! This looks like a great product! Love the fact that this is customizable and uses images instead of graphics. Sounds like a lot of great upgrades are already on the way too. 19.99 seems pretty steep!!! You can download Phonics Studio for free (not a speech app) but it does the same thing! I took your advice and downloaded Phonics Studio, but it doesn’t seem to be similar to this app at all. The Speech Box app has lots of single syllable words organized by phoneme, while this Phonics app is by alphabet, and mixes multiple syllable words. I found myself skipping lots of words that are not appropriate. There’s also no way to add your own photos or categories like the description says (the Speech Box app allows you to very easily), or at least I couldn’t figure it out. So I’d rather spend the money to get an app that’s usable right away.